Traditional Hydrapulper produce an unimpeded swirl, The paper is to be moved from the join to the center rotor by the helix. But D Type Hydrapulper changed this flow way, make paper contact with rotor faster, in this way can shorten the time of paper pulping, and improve the production capacity without adding power and volume. D Type Hydrapulper used in paper pulping line need continuous pulping device, to help remove the impurities, which include Paper Ragger, Sediment Well, Hydrapurger, Drum Screen, Grapper, Rope Cutting Machine, etc. It’s advantage is low cost, almost suit for all raw material, smaller capacity compare with Drum Pulper, If we feel trouble about too many continuous pulping device, can add a automatic discharge to replace it. 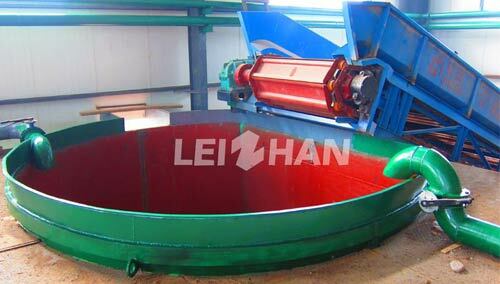 Leizhan adopt the best quality raw material to manufacture all the machine, maximum improve the user experience, for more details, feel free to consult us: leizhanchina@gmail.com.